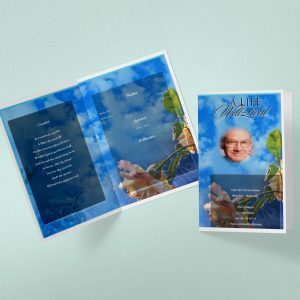 Here I am going to show you tips to Print 100 Funeral Programs in 50 USD, You can save your budget in funeral service by availing this premium and very affordable funeral program design service. 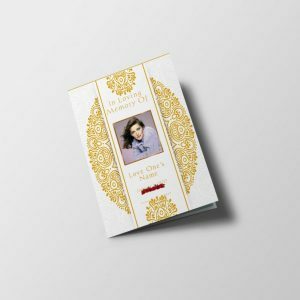 Now, the big question is “How you can get Print 100 Funeral Programs – 50 USD“? Many players in the market in both online and offline are making big money in this profession by selling costly products and services to the people in a hard time. Eg: Photo Restoration service for $29.95 or more, printing funeral programs at $1.50 per program. So, why use these costly services when you can get these services for free. eg: Photo Restoration Service for Free, Photo Enlargement service for free and Funeral Program Customization service for free! 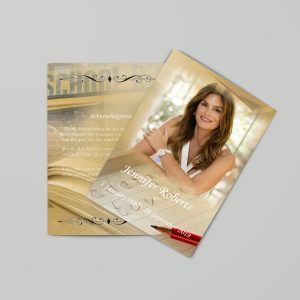 We will provide these all services for free, so you will just have to pay once for one printable file, which you can get it printed yourself. If you choose to print yourself, you will able to save more. Simply get some paper of your choice. We will recommend a card stock paper ( > 50lb) for best results. 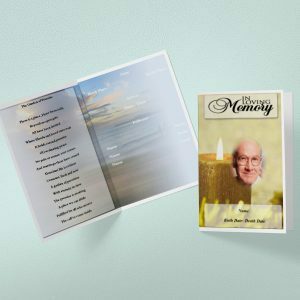 Get these papers fed into your home color printer or you can even use your office printer to get these funeral programs printed. 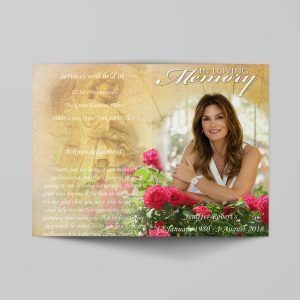 Once printed, you can start assembly of this (Generally by Folding in Half for Funeral Programs). 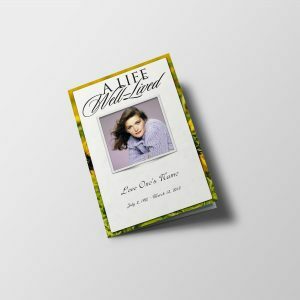 Or; You can go with the second option to get these Obituary Programs printed at the shop. 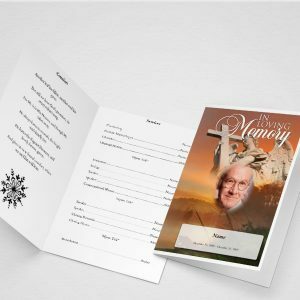 Simply email the downloaded printable PDF of Funeral Program to print shop or save it to a USB / Flash Drive to provide them. 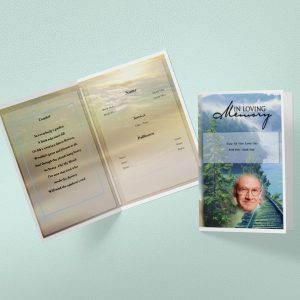 We at QuickFuneral.com believe in saving money by delivering the moments that never lasts for Funerals! 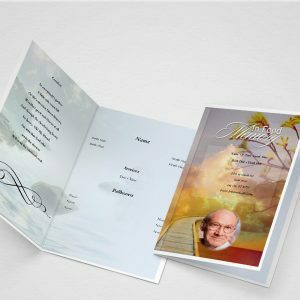 You will able to Print 100 Funeral Programs – 50 USD by following the above suggestions and make a big saving. 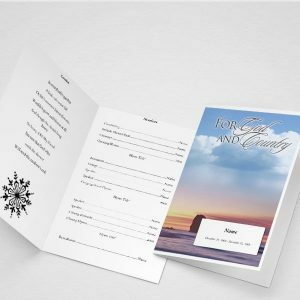 Use of Funeral Program Templates is a great way to create self-printable funeral programs. 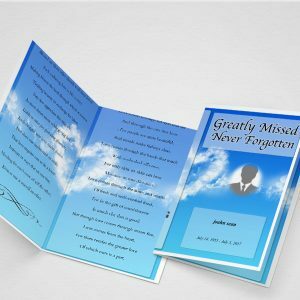 We recommend using these funeral templates to create funeral programs online using our Online Funeral Software.